Agent 47 is back again and he’s more deadly than ever! Assassin fans it’s that time again, grab anything that can do damage and take down the target in any way you see fit! Hitman 2 lets players use a massive amount of freedom and creativity to take down the selected target, for new players the games tutorial called the training prologue would be a good place to start as it will give players the basics where to start when planning an assassination. Hitman 2 features 6 brand new location to inspire death as well as the tutorial I have already mentioned. The other thing players will notice upon loading the game up is the ability to actually play any of the missions from the first Hitman game through Hitman 2 with the games legacy pack. The missions are set out that you can actually start from whatever one you chose but skipping missions will however give a warning of spoiler alerts so it’s best to play the missions in the correct order and follow the games story. After each mission the player will be judged on their performance during the mission, obviously stealth is key here but there will also be other challenges to try to complete such as taking down a target in a certain way. One challenge for a mission I was on was poisoning the targets tea while others were trickier like trying to assassinate the target while they were safely locked away in their panic room. Completing these certain challenges will bring the player extra reward points at the end of the mission to put towards the total points for the mission itself, these points can then be compared to global leaderboards to see how well you compare to other assassins around the world. These reward points also contribute to unlocking Agent 47’s mastery level which will unlock extra tools and items that can be used such as a MKII items and extra objects that can be used throughout the level like a magazine stand that conceals a small item to aid Agent 47 with his assassination. Between levels are cutscenes that tell the story, while nothing game-breaking these cutscenes are actually still images with voice overs. I would have preferred a real video clip but on the plus side the voice acting throughout was pretty good it’s just the cutscenes don’t look right when someone is talking and their mouth doesn’t move. It’s a shame fully animated scenes were not included but it does the job and I’m sure many players won’t really be too bothered by it. The levels will require a lot of sneaking around which would obviously be expected, using your Agents special senses really help to show where enemies are and the routes that they are taking giving the player a good chance to plan from a safe position. If Agent 47 is seen things can get out of control pretty fast and enemies will swarm the area. Levels give plenty of positions to hide, wardrobes, furniture boxes and out in the garden grass or even in a crowd of people are just to name a few, as well as hiding yourself away from the enemies in these places, it’s also possible to hide your victims here too well except in a crowd of people! If you don’t want to break your cover hiding bodies is essential as once the victim is found the area will be on alert and will most likely make the mission a whole lot more difficult with the main target most likely getting far more protection with the guards on full alert. A very important thing thing player will need while playing Hitman is patience, once everything is set it can just be a matter of waiting for the opportune moment, rushing in is never a good idea. When a plan does come off that you have planned for ages though it does make you feel good and well worth the wait, this also work the other way too though and can be frustrating when waiting for something to happen and it all goes wrong and you have to start again! Sound is very important throughout the missions too and listening to guards and other NPC’s can be essential in aiding your assassination, hearing your target ask for a cup of tea allows you the option to maybe add a little something to it that may cause some damage a nice silent death. NPC’s all talk and interact and the voice acting is really good and believable, sound effects are also really accurate and make the whole experience a very pleasing one to listen too. Levels are really well designed and will require a great deal of planning by the player, before you start you will have options to select what equipment and gear you want to take into the mission. The aim of the game is to silently take down just the intended target and then leave the area without ever being seen which isn’t easy at all. It’s much easier to take enemies down as you find them but much harder to go in not be seen, assassinate only your target and leave. The sense of achievement however when you actually manage this makes you feel a real sense of achievement, on top of that it also adds to your mastery level which unlocks new items and climbs the online leaderboard. Distractions will be an essential to going unnoticed, throwing things like coins to get an enemy off his post come in handy bringing the poor unsuspecting sole to an abrupt end or if your nice just a little sleep. Throwing things aren’t the only option though and throughout levels there are plenty of options, in the first mission I decided to turn the taps on and flood the bathroom, this brought a guard to investigate and clear up leaving him wide open for an attack, needless to say he did end up taking a nap in a wardrobe minutes later! To aid what guards have seen and where they are is a small screen that will pop up in the top left corner that shows a guard on alert and what they are doing as well as showing things like your main target dying from whatever nasty end you planned, this screen does aid the player slightly and make things a little easier but I do think it’s a really good thing to have and nice to see your plan in action taking place. Enemy AI is actually pretty decent and you won’t get away with much when trying to sneak around and hide, if they catch a glimpse of you, they will follow it up and check the area in which they saw you. I was shocked once when an enemy was looking in a mirror and actually managed to see me move past them, it’s times like that where your whole plan goes out the window and it’s either fight for survival which is never a great option or load up and start again. The game features a decent save game system that allows the player to save whenever they want, saving regularly is a good idea here as mentioned above things can turn ugly extremely fast without much warning so being able to load the game up just before it happened instead of starting the whole mission again is definitely a plus in my eyes. The difficulty doesn’t feel quite as tough as the Hitman games I played in the past but things are far from easy and should provide a decent challenge for most players. Visually the game looks really impressive, lots of lighting detail with accurate shadows as well as a really good amount of detail throughout the levels. I found the performance on the Xbox One X to be really good with no frame rate drops leaving the game running really smooth all the time. The last thing I wanted to mention was the games replayability. 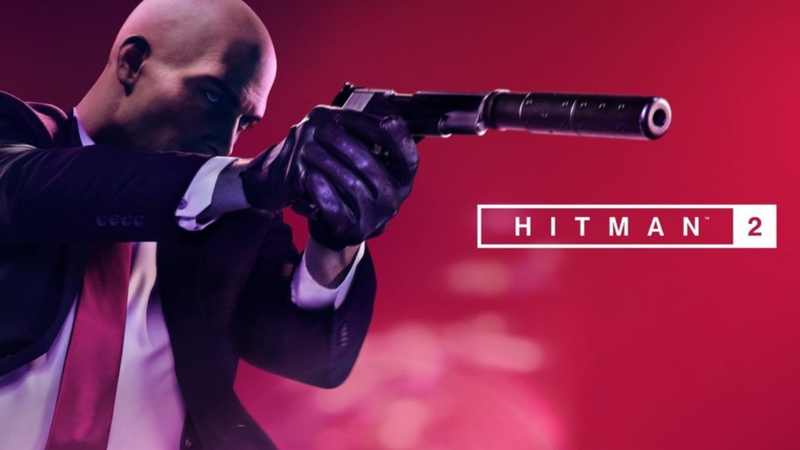 In Hitman 2 It’s fairly safe to say that players will be coming back for more, not only is there the option to replay missions to try different killing options and completing the set challenges there are also two online modes, Sniper Assassin mode puts the player in charge of a sniper rifle in which you will have to accurately shoot down set targets also with the option of completing the challenges set. This mode is much like the mobile game of old and can be done either in solo or multiplayer. The other mode is slightly more interesting and still in BETA, Ghost mode puts players against each other in different game worlds and you will have to work fast and efficiently to gain points and beat the other player. Players can also jump into the other players game world and in the process have the ability to disrupt their careful planning and cause havoc in something that would otherwise be a well executed kill. Hitman 2 in my opinion feels much better this time around having everything all included in one package rather than buying separate episodes, this combined with the improvements made for Hitman 2 make it a game well worth playing especially if your a major stealth fan as this offer some of the best stealth in any game around. Hitman 2 doesn’t feel too much different from it’s predecessor but in many ways that isn’t a bad thing, the levels are designed smartly and keep things interesting for the player. The sound effects and voice acting is really strong as well as great visual and very good enemy AI. For stealth fans Hitman is a success, the stealth side of things is pretty much the best around and the amount of different ways to assassinate your target will never get boring. The difficulty can be adjusted and it is really well set, the game is challenging but not too hard it’s unplayable. Hitman 2 has great replayability also with many player probably wanting to take on missions multiple times to complete set challenges and this is without the multiplayer modes of Sniper Assassin and Ghost Mode. Hitman 2 is a pretty impressive package that I am sure any stealth fan will find something they like!